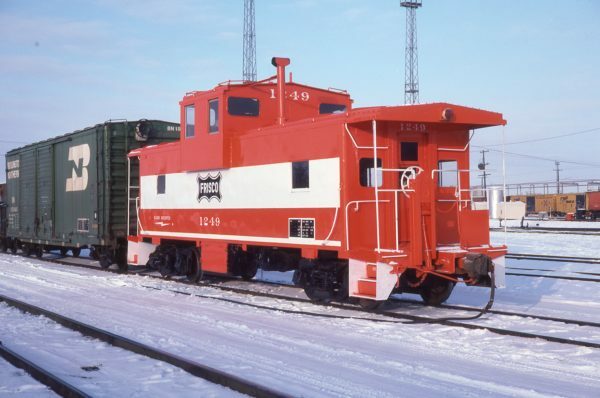 Caboose 1249 at Springfield, Missouri in January 1979. 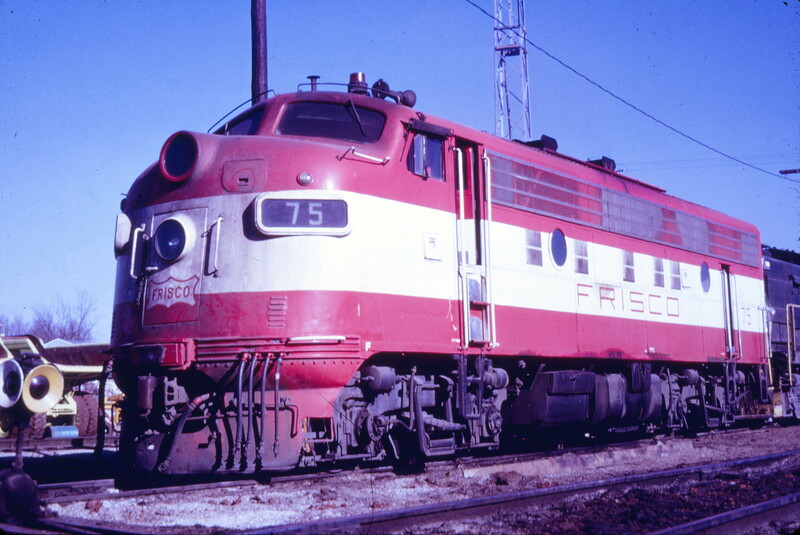 F9A 75 at Springfield, Missouri (date unknown) (Mac Owen – Blackhawk Films). GP7 518 at Irving, Texas in January 1972 (Rail Junction Slides). 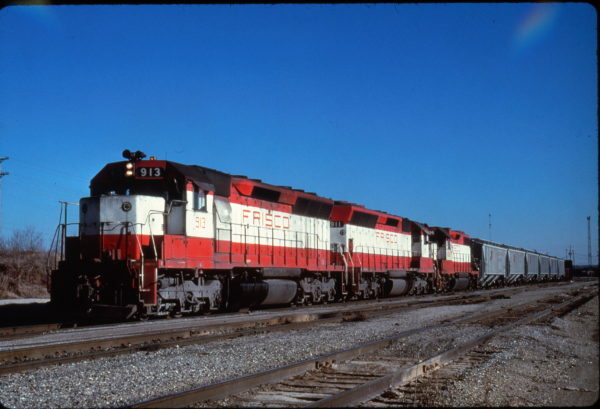 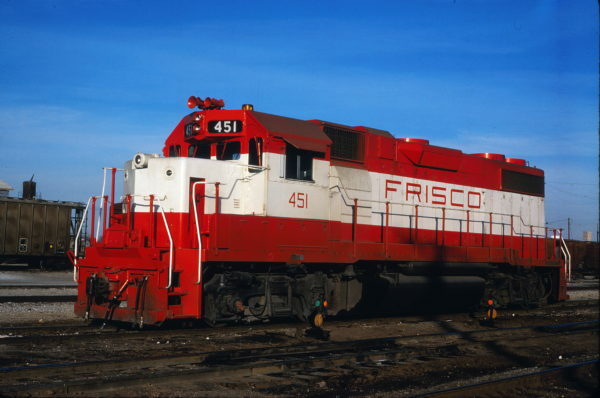 GP38-2 451 at Enid, Oklahoma on December 18 1980 (Gene Gant). 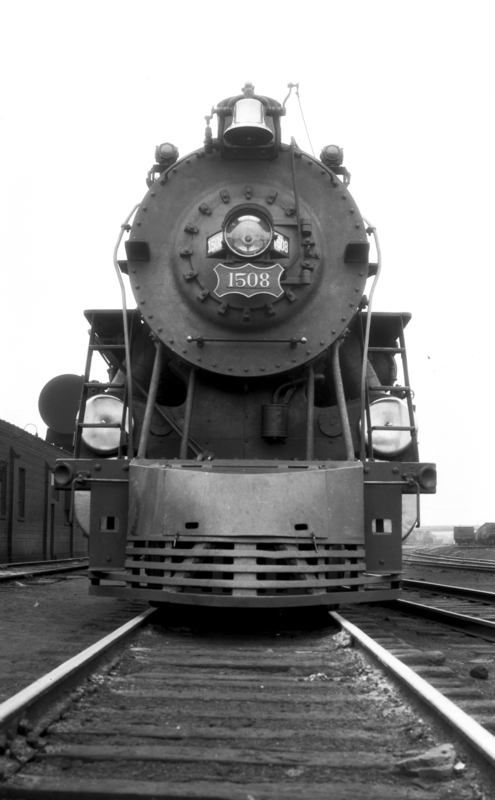 4-8-2 1508 at St. Louis, Missouri (date unknown). 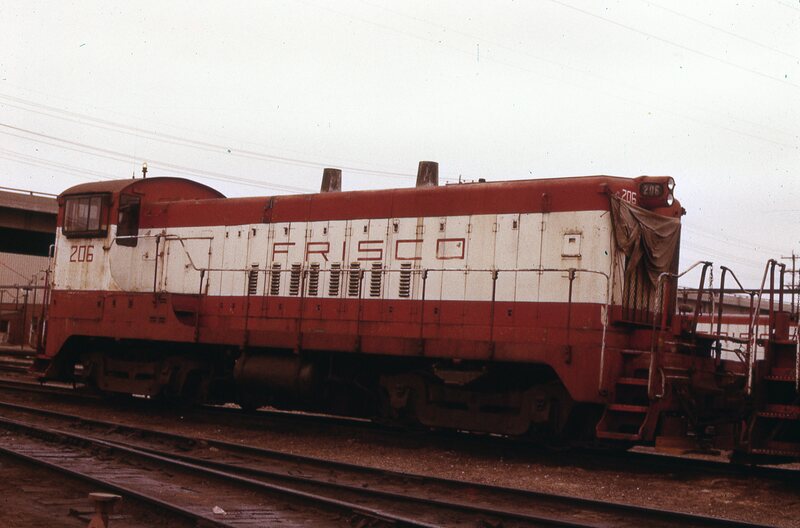 VO-1000 206 at Springfield, Missouri on April 15, 1979. 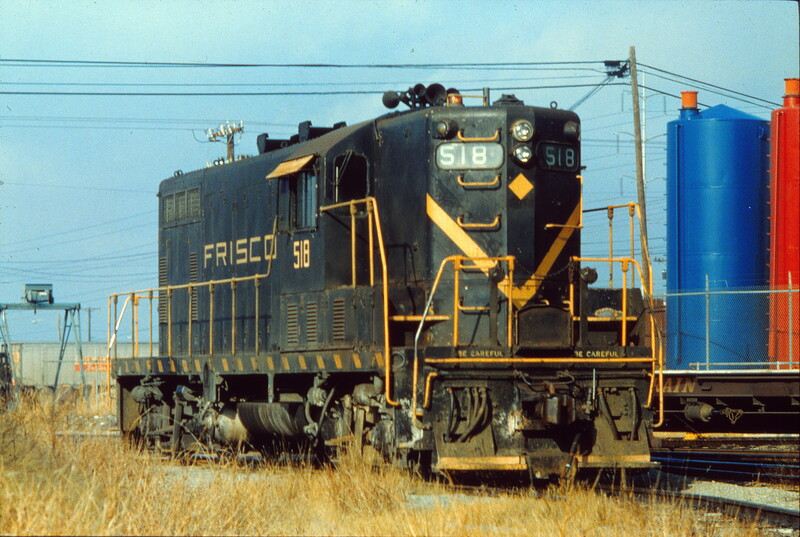 GP7 594 at Ellsworth, Kansas in October 1978 (John Lytle). 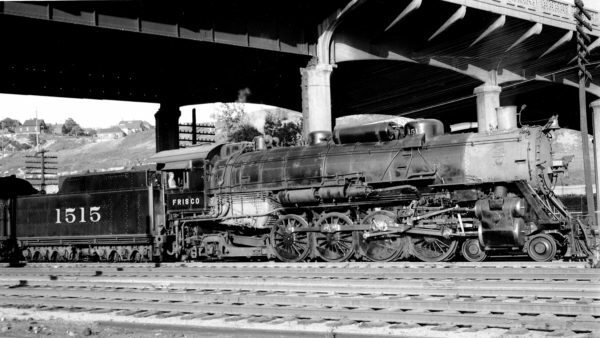 4-8-2 1515 at Kansas City, Missouri on September 15, 1948. 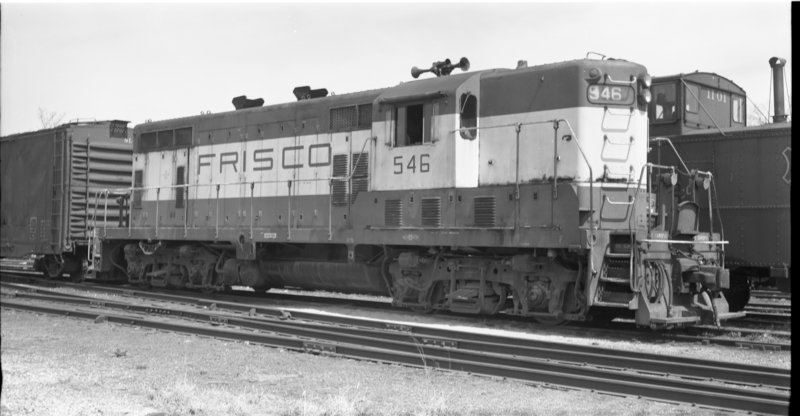 GP7 546 at North Clinton, Missouri on April 22, 1975.